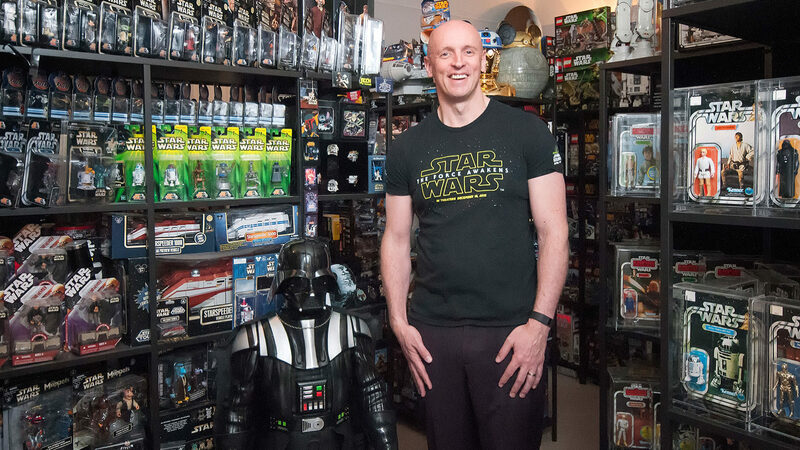 The Disney Store VP talks with StarWars.com about his love of a galaxy far, far away and his amazing personal collection. 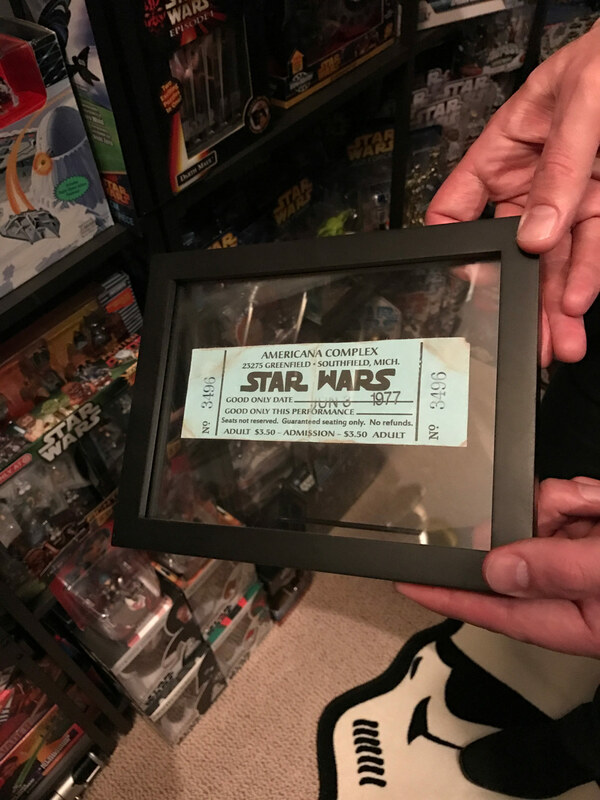 As Disney Store is currently celebrating their guests who love Disney and yes, Star Wars, with their #SoThisIsLove campaign, it seemed a fitting time to shine some light on Storey’s passion for Star Wars, collecting, and his job. StarWars.com: I always like to ask people: what is your first memory of seeing Star Wars and what about it resonated? Jonathan Storey: It was going to see it [A New Hope] at the theater, which, of course, I share that same story with tens of millions of other people. The thing that stuck out to me was it was the first time my father took me and my brother to the theater. I’d never seen a movie on the big screen before. Of course, that was a wow moment as a kid, but the movie happened to be Star Wars. It made an impact on me. Having no DVDs, no videos, or anything, I didn’t get to see it again until some years later, but one time was powerful enough to captivate me. As a treat, my parents took me and my brother out and we could pick one thing; we both got a pencil case. Back then, there wasn’t much Star Wars merchandise, so I bought a Princess Leia pencil case and my older brother got a Darth Vader one. I still have the pencil case. It’s a bit worse for wear now because I used it for school each day. 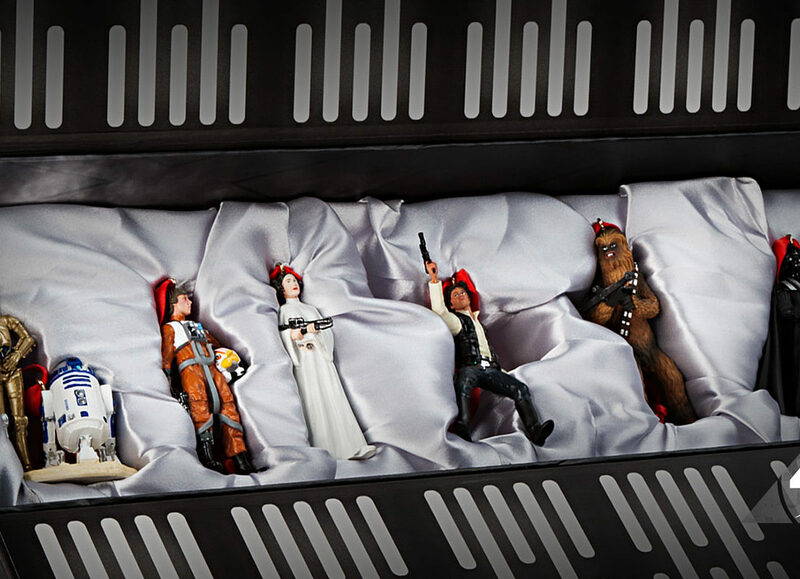 StarWars.com: So, that really started your Star Wars collection. 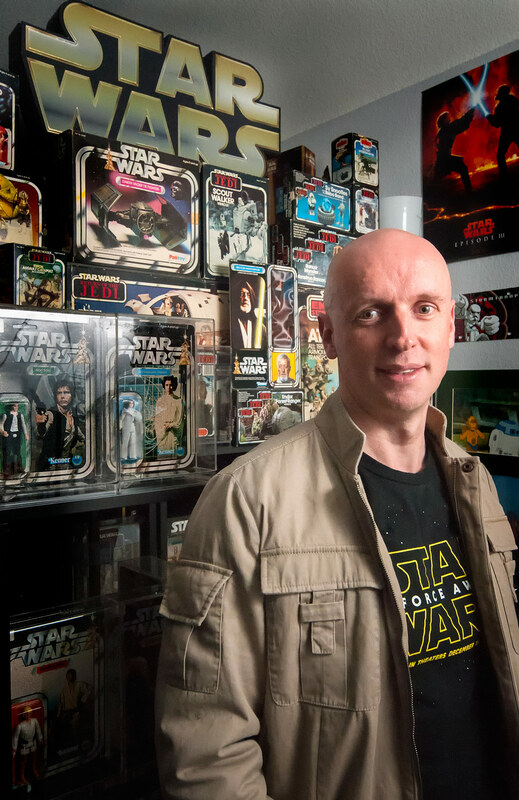 Jonathan Storey: It took me a while before I deemed myself a collector. I remember waiting a long time before I got my first Star Wars figure, and then I started acquiring them. I have collector blood in me, a collector mentality that if I have two of something I secretly collect it. You give me more than one of something, and I can’t help it. Star Wars has been the only thing that stood the test of time. I started sort of unofficially collecting in 1977, and I just didn’t stop. StarWars.com: It didn’t, because I read you have over 6,000 pieces in your collection. Do you focus on a certain type of toy or any particular era? 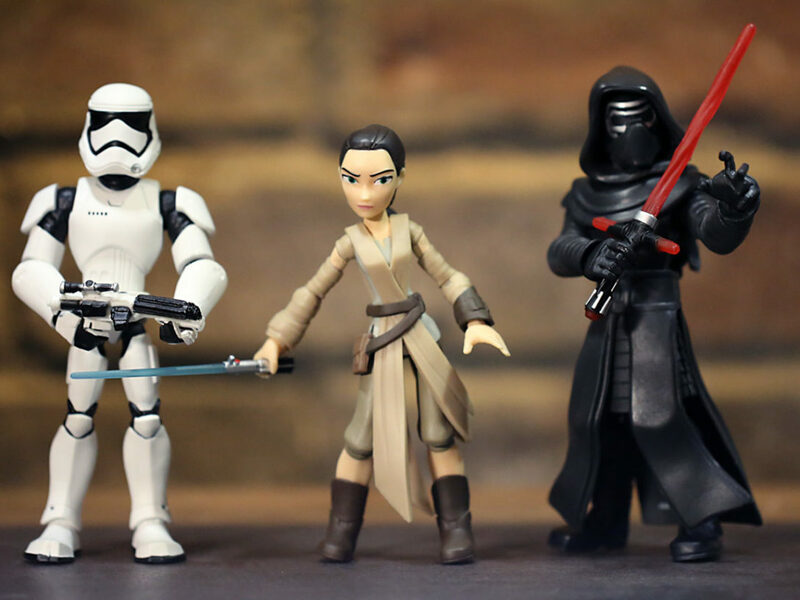 Jonathan Storey: I’ve stayed very loyal to the Hasbro 3 3/4-inch figures. I’ve never stopped collecting those. Outside of those, I dabbled in lots of other lines but obviously, in recent years, the amount of merchandise out there is so large, you just have to be more selective. I still collect the Hasbro figures, but beyond that, I have to like it. It has to resonate with me for me to get it. It’s interesting because now Star Wars merchandise has become so integral in my life. It’s molded my life, to be honest. StarWars.com: The Star Wars offerings in the Disney Store have definitely increased since the release of The Force Awakens, including the exclusive Elite series. What’s it been like to see those new products come to shelves? Jonathan Storey: I’ve always been proud to be part of the Disney Store because we do go to great lengths to make product — not just making a piece of product to make a piece of product, but trying to put a story behind it. 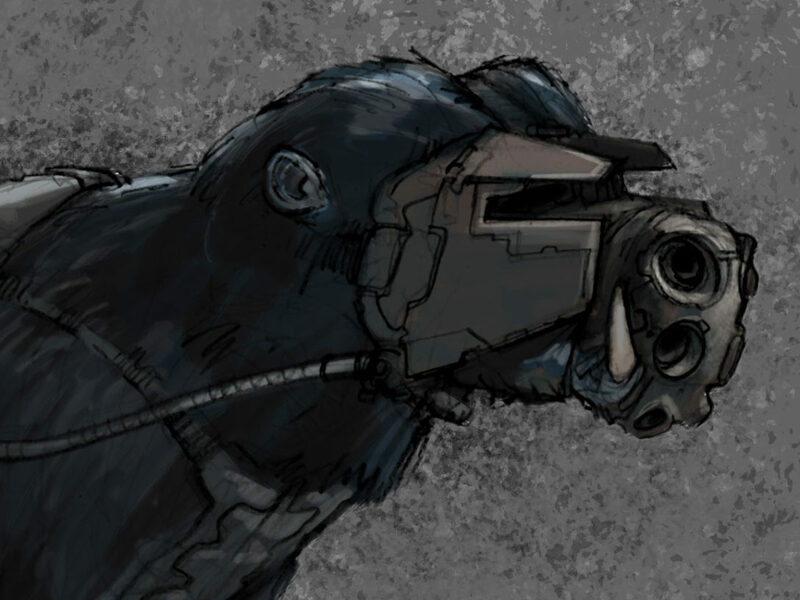 The attention to detail is great, the quality is there in every aspect. 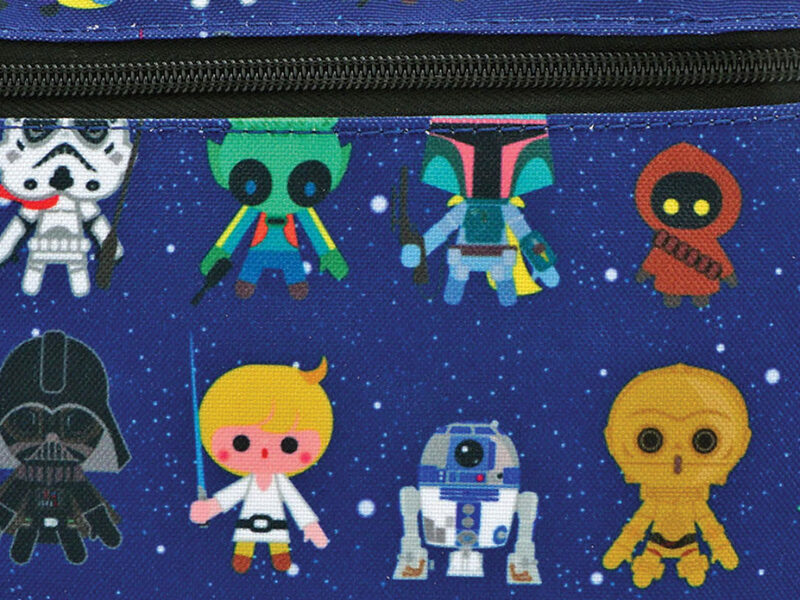 So, when they brought Star Wars into the Disney Store, of course our product developers were new to this story and these characters. 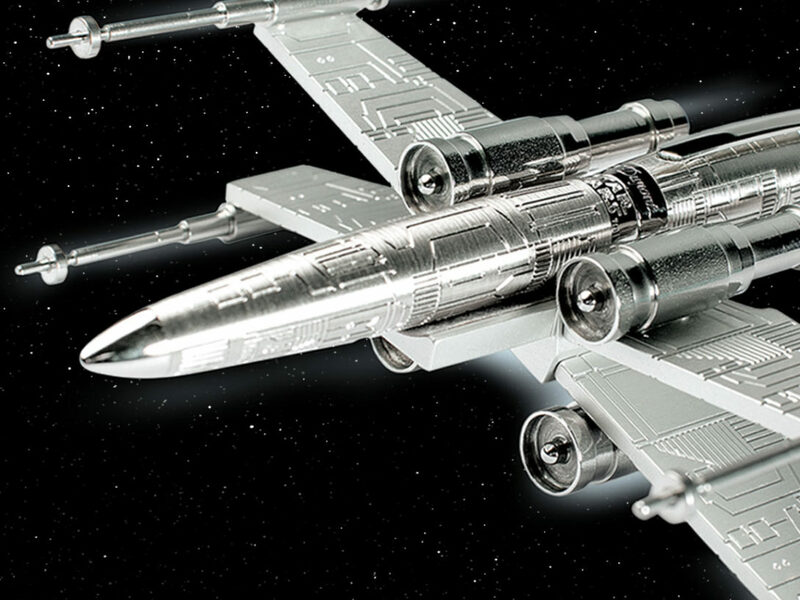 The Elite Series came into play about two years after we launched Star Wars merchandise. It wasn’t part of our initial wave. Part of the beginning was learning about who’s going to buy Star Wars at the Disney Store. We pride ourselves on having something for everyone at the Disney Store. 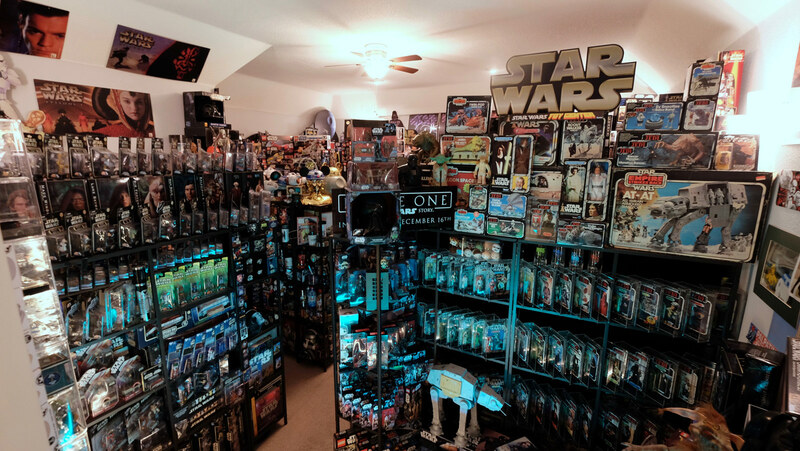 With Star Wars, we’ve struck a good balance between having some products more mature collectors will appreciate and some for the new generation of collectors that also have a lot of play factor. Finding the right balance is not easy, but Disney Store has to do it. We only have so much space. The Elite Series figures have an elevated packaging. The gentleman that designs them works out of our office, and gosh, the attention to detail. What he’s doing with the newer ones, they’re getting better all the time. He’s learning all the time because it’s a hard material to make toys in. He’s figuring out things, like the new Elite Series don’t have the screw holes in the back of the legs. 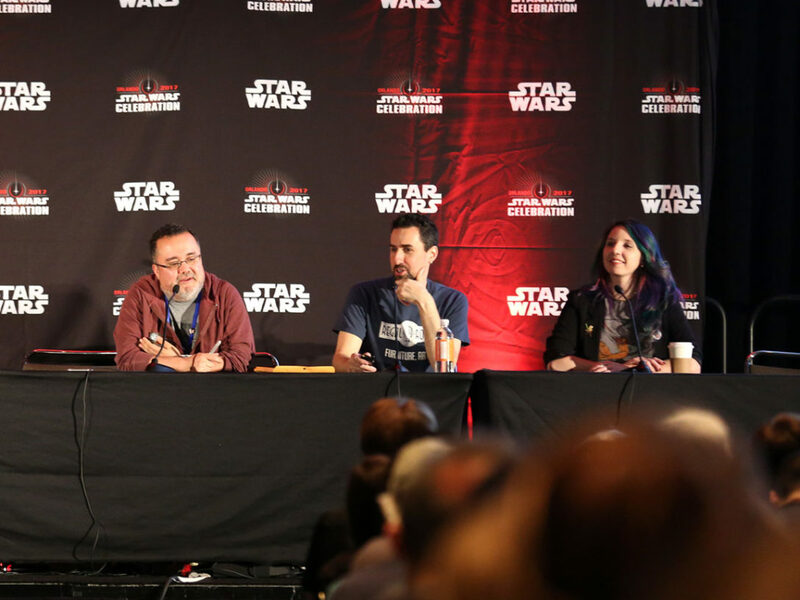 StarWars.com: You’re in a unique position in your career now, where Star Wars is part of it. Jonathan Storey: I love Disney, and I love what they stand for. I love working for a company that brings so much joy to the world. We spend so much time of our lives at work that to do something we enjoy is a reward. 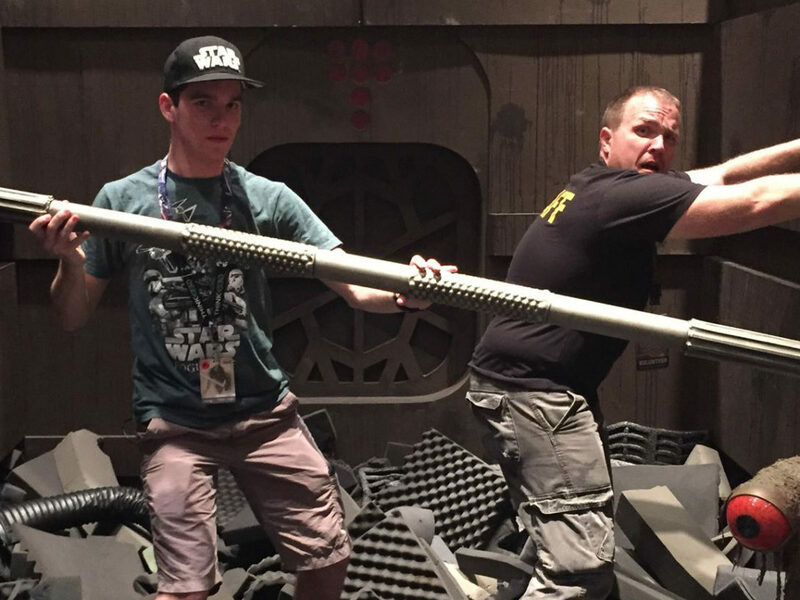 [Getting to work with Star Wars] makes my job that much more fun. When I look back at the last 40 years, every aspect of my life, Star Wars has crept through in some shape or form. 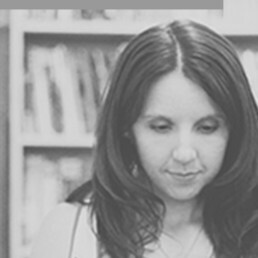 I found in Star Wars a community that I felt I could be the person always wanted to be, to have the confidence to engage in conversations, to build friendships easily, and to talk openly and enjoy what I’m talking about. Star Wars gave me that. It gave me a lot of confidence in life.